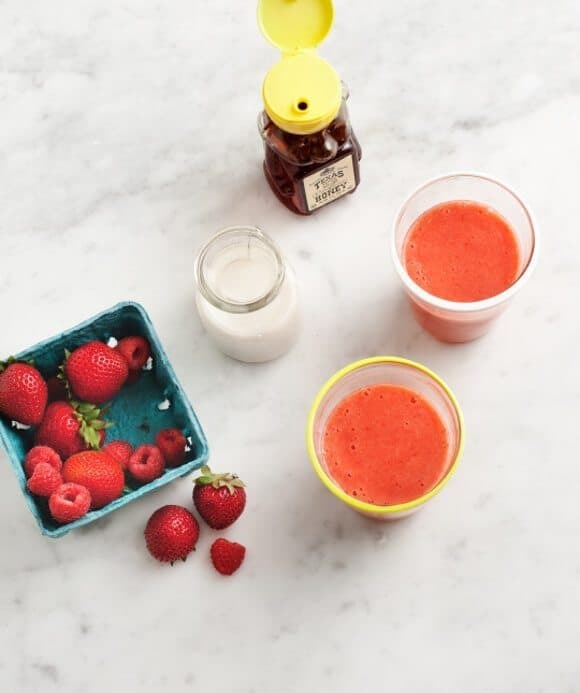 This refreshing berry smoothie is perfect for hot summer afternoons or as a healthy breakfast! It's lightly sweet, a little creamy, and totally satisfying. “I walked outside and felt like I was swimming,” is what Jack said the other day as I picked him up from the airport, fresh off a flight from LA. It’s humid here, to say the least, and the air is thick. It’s the kind of heat that sort of takes your breath away as soon as you walk out the door. But I’m not complaining, it always takes just a few weeks for the body to acclimate to our summer temps. Hydration is the key. 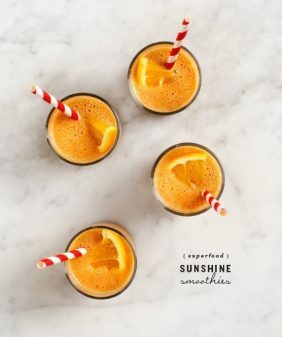 Eight glasses of water (don’t know who recommended that) is just not enough, so I’ve been on a smoothie kick lately, and this refreshing berry smoothie is my new favorite. I originally made this berry smoothie for Jack. He’s a smoothie guy no matter what temperature it is outside. But I’ve been waking up extra parched lately, so this fruity berry smoothie goodness has really been hitting the spot. 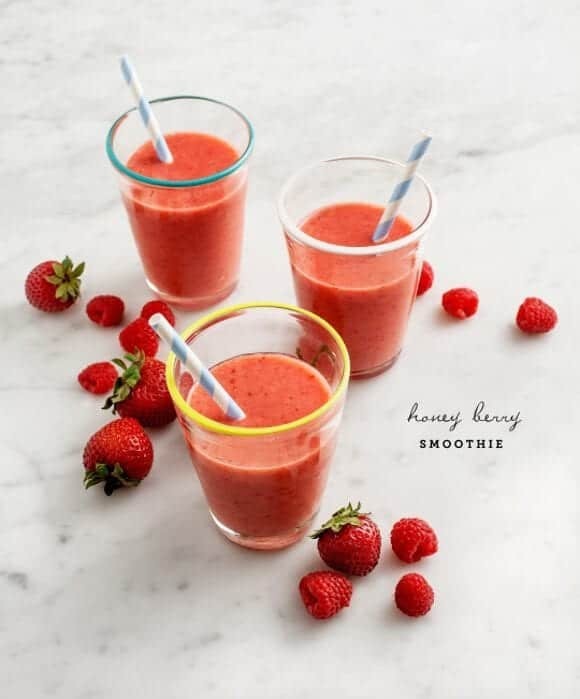 This berry smoothie recipe works with fresh or frozen fruit, just cut back on the ice if you opt for frozen fruit. I encourage you to try adding the optional basil or mint – they add a lovely freshness to this drink. 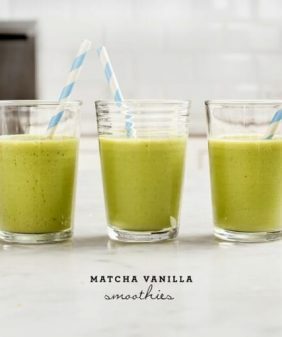 For more smoothie ideas, check out these fun summer recipes, this yummy matcha mango blend, or this fresh citrus one! This refreshing berry smoothie comes together in seconds in the blender. 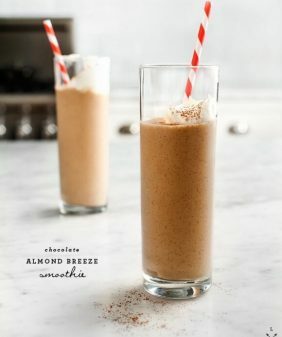 Perfect for hot summer afternoons or as a healthy breakfast. 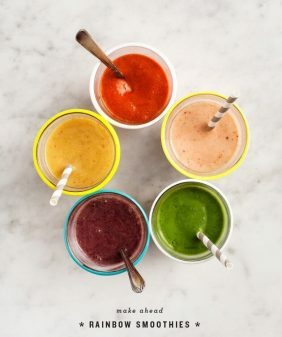 Blend all ingredients together in a blender. Taste. If it's too tart for you, add another ½ cup or so of almond milk and another tablespoon of honey. Optional step, strain to remove seeds: Blend all ingredients except ice. Strain the liquid to remove strawberry seeds, return to blender, add ice and pulse until combined. This looks sooo good!! Love this idea! love the optional basil idea! Never thought of that. 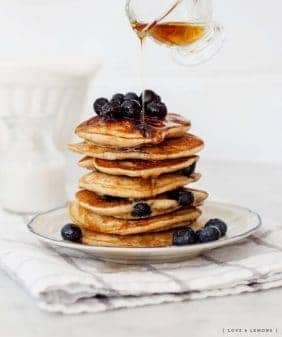 Delicious & easy to make! I love the addition of the basil! That sounds awesome! Oh and I remember summers in Ohio. So dang humid, it is not anything like that here in CO. Believe it or not, I actually miss the humidity a little. It just reminds me of summers as a kid! 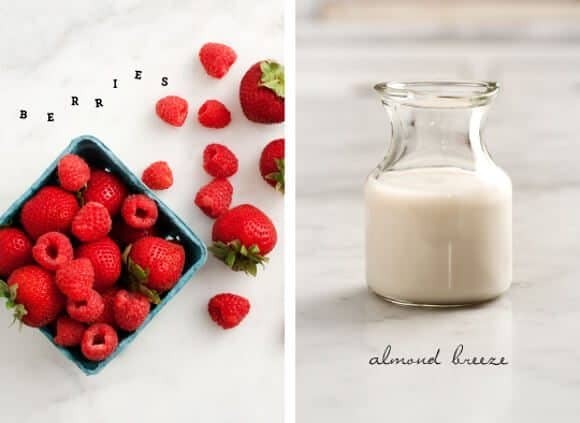 Your summer berry smoothies look so delish!!! 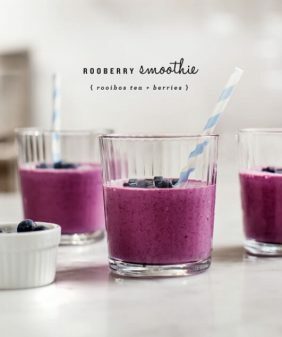 We love making all types of smoothies – especially with berries! Your pictures are gorgeous too! Beautiful – just looks like summer! Beyond doubt, there’s a great deal of helpful blog posts in this page!